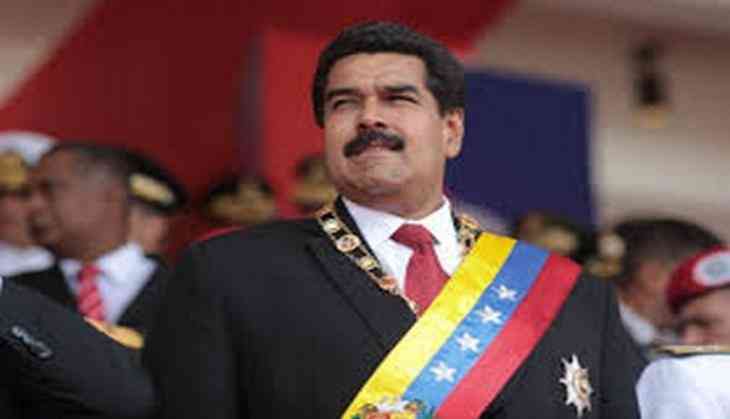 Venezuela's President Nicolas Maduro has confirmed a grenade attack on the Supreme Court building launched from a helicopter on Tuesday evening. Maduro, speaking on state TV, said the grenades did not explode and Venezuelan special forces were searching for the "terrorists" behind the attack, reports The Guardian. He further claimed that the helicopter was piloted by an agent from the country's intelligence unit who then managed to escape. Videos circulated on the social media showed the man piloting the helicopter, while holding a banner that read "Liberty. Article 350", in reference to an article in the Venezuelan constitution that allows for citizens to declare themselves in civil disobedience in front of "any regime that runs counter to democratic guarantees or undermines human rights." The incident took place just hours after Maduro warned that he and his supporters would be willing to take up arms if his government was toppled by "undemocratic forces".